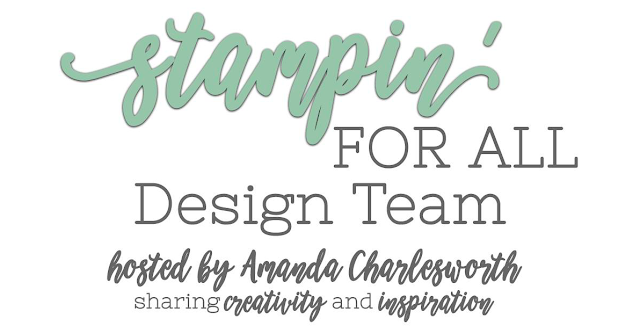 Well it is my turn, once again, as part of the Design Team over in the Stampin' For All Facebook group, to post the challenge today. 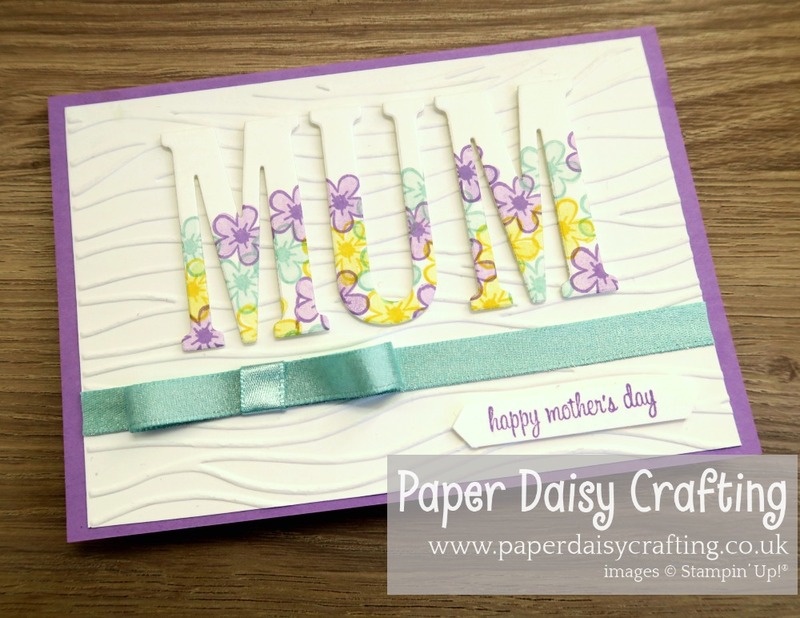 And the theme is Mother's Day. 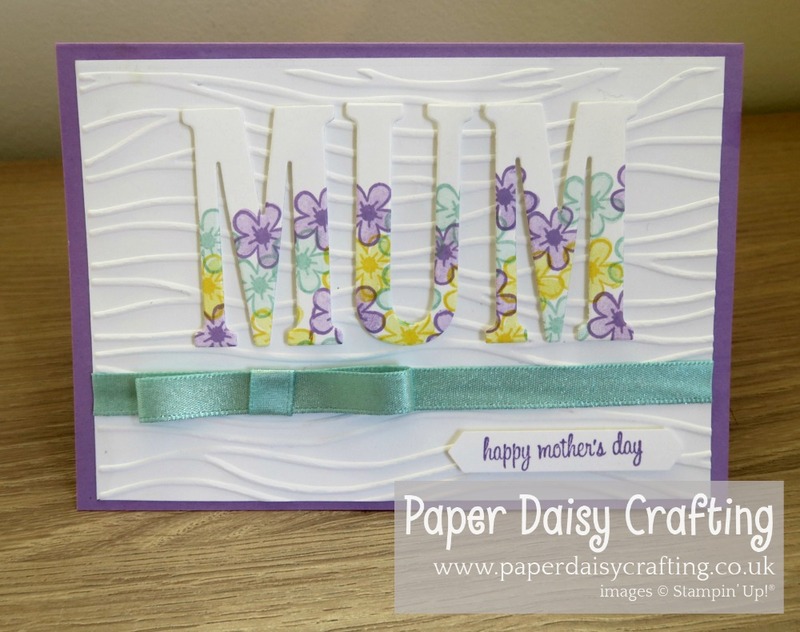 So despite the fact that I've already made 3 Mother's Day cards this year (and I only have one mother!) I have made another one. And this one might just be my favourite! I haven't used the Large Letter dies for a while and I had forgotten how much I love them. I have a feeling they will be discontinued once the current catalogue retires in June - I'll be so sad and will definitely be holding on to mine. 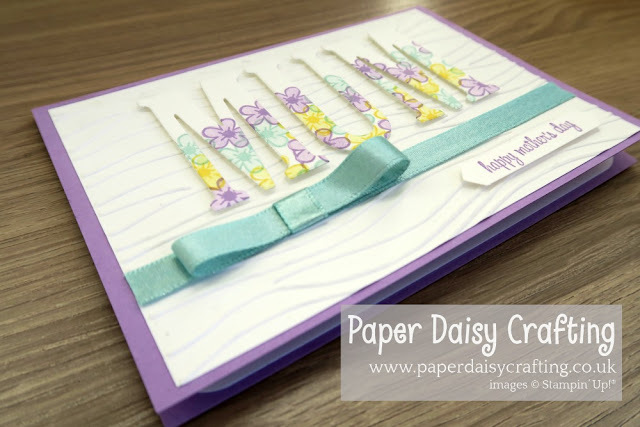 I used Highland Heather Heather, Pool Party and Daffodil Delight on my card to give it a spring like feeling. 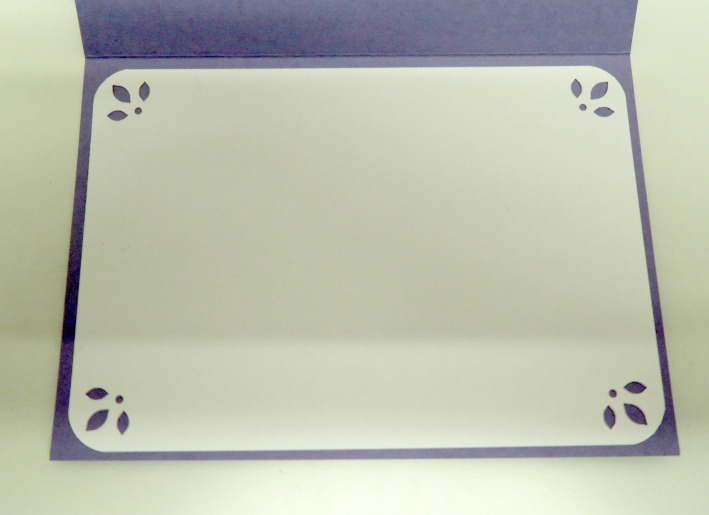 The embossing folder is called "Seaside". 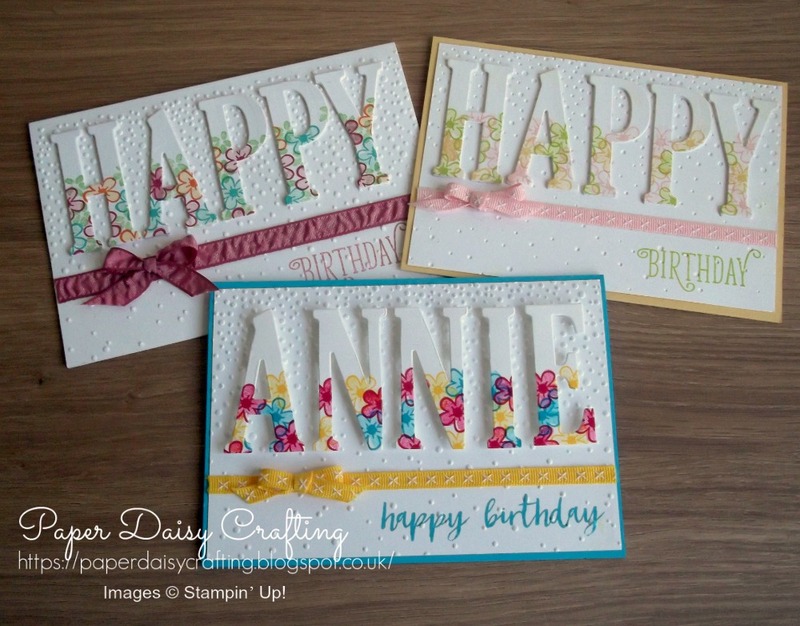 The stamping on the letters is made with stamps from the "Happy Birthday Gorgeous" stamp set. And the greeting is from the "Itty Bitty Greetings" set, punched out with the Everyday Label punch. The ribbon is Pool Party Shimmer Ribbon. Trying to show you the dimension of the card in this shot. And this is the inside - I just decorated the corners of a panel of Whisper White card with the Detailed Trio Punch. I have not made a video tutorial to go with this project but it is made the same way as I made some cards last year. Thanks for joining me again today. Did you know that you can play along with our challenge? Just make a project suitable for he theme and add it to the album over on the Stampin' For All Facebook group HERE. Back soon. Have a great day! And don't forget there are only 7 more days to take advantage of our Saleabration promotion. All details HERE. Who doesn't like FREE stuff?